Celebrating the life of Edward J. Donahue, Jr.
Obituary for Edward J. Donahue, Jr.
On Sunday, November 18, Edward J. Donahue, Jr., aged 97, died at the Lehigh Valley Inpatient Hospice in Allentown after transport from Seton Manor, Orwigsburg, where he had been a patient for the past few years. A longtime resident of Yorkville, he was the oldest son of Edward J. Donahue, Sr. and Elizabeth Muldowney Donahue, and was born in Port Carbon on March 17, 1921. A 1939 graduate of St. Stephen's High School, he worked during World War II for the U.S. Army's Ordnance Department, based in Danville covering Northern and Central Pennsylvania as a weapons inspector. 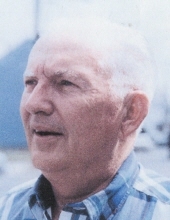 After the war he was employed by Carpenter Steel in Reading, then followed a family tradition of working in the U.S. Post Office, serving as Assistant Postmaster in Port Carbon, then Superintendent of Mails in Shenandoah and retired as Postmaster in Orwigsburg in 1981. He was a 65-year member of Yorkville Hose & Fire Company and of the Goodwill Fire Company in Port Carbon; he was an enthusiastic advocate for the establishment of the Schuylkill County Fire Academy in West Mahanoy Township, and served as Assistant Fire Chief in Pottsville. An ardent railroad fan, he was involved in the establishment of the Reading Company Technical & Historical Society and of the former Schuylkill County Model Railroad Society. Ed was a member of St. Patrick Roman Catholic Church, Pottsville. He was preceded in death by his wife of sixty years, Laverne Scheibelhut Donahue, in 2004 and by a young son Kevin in 1963, as well as by his brothers Charles and Francis. Survivors include daughters Patricia Graziano, of Sydney, Australia; Elizabeth Behler of Havre de Grace, Maryland; and Kathleen Wannisky of Alexandria, Virginia; as well as a son, Edward J. Donahue III, of Sherwood Forest, Maryland. He leaves five grandchildren, eight great grandchildren and numerous nephews and nieces. A Requiem Mass will be celebrated on Thursday, November 29th at 11:00 a.m. at St. Patrick Roman Catholic Church, 319 Mahantongo St., Pottsville. There will be a wake on Wednesday evening, November 28th, from 6:00 - 8:00 PM at Lord-Bixler Funeral Home, 1818 Mahantongo Street, Pottsville and a viewing on Thursday morning in the funeral home from 10:00 a.m. until the procession will leave for church. Graveside services and interment will follow in Calvary Cemetery, Hillside. The family request contributions may be made in Ed's memory to Yorkville Hose & Fire Company, W. Norwegian St. & N. 20th St., Pottsville, PA 17901 and the Reading Company Technical & Historical Society, 500 S. 3rd St., Hamburg, PA 19526. To send flowers or a remembrance gift to the family of Edward J. Donahue, Jr., please visit our Tribute Store. "Email Address" would like to share the life celebration of Edward J. Donahue, Jr.. Click on the "link" to go to share a favorite memory or leave a condolence message for the family.